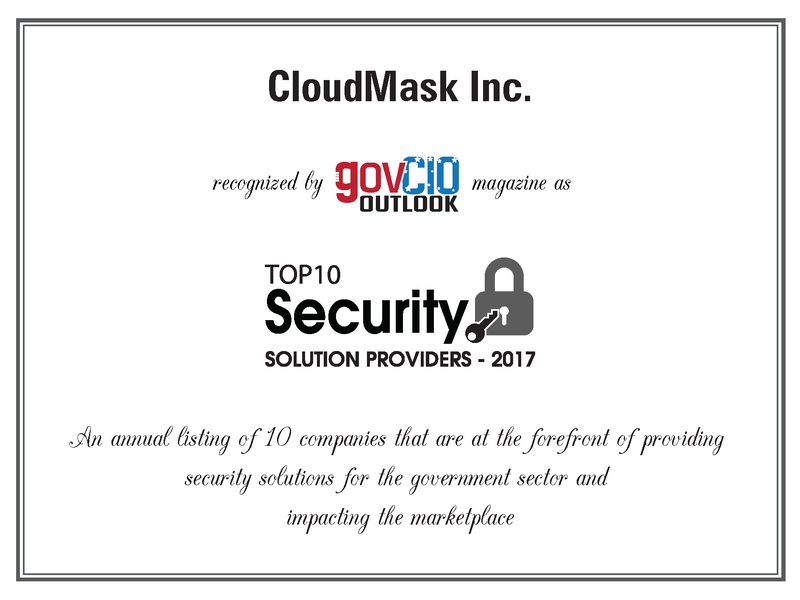 FREMONT, CA— CloudMask announced today that it has been included in the Government CIO Outlook‘s Top 10 Security Solution Providers 2017. “It’s a great honor to announce CloudMask Inc. as one of the Top 10 Security Solution Providers 2017,” said Becky Graham, Managing Editor of Government CIO Outlook. CloudMask’s unique value proposition helps cloud providers, insiders and government to address all the challenges faced due to security vulnerabilities. CloudMask is the last line of defence, masking data in the cloud and on premise, even in the event of a total breach. CloudMask can track, protect and control access of data throughout its lifecycle, from creation, in-transit, storage and in-process to the point of consumption. CloudMask protects data both within the cloud-based applications and as data moves outside of them via email, messaging, file sharing, and more. 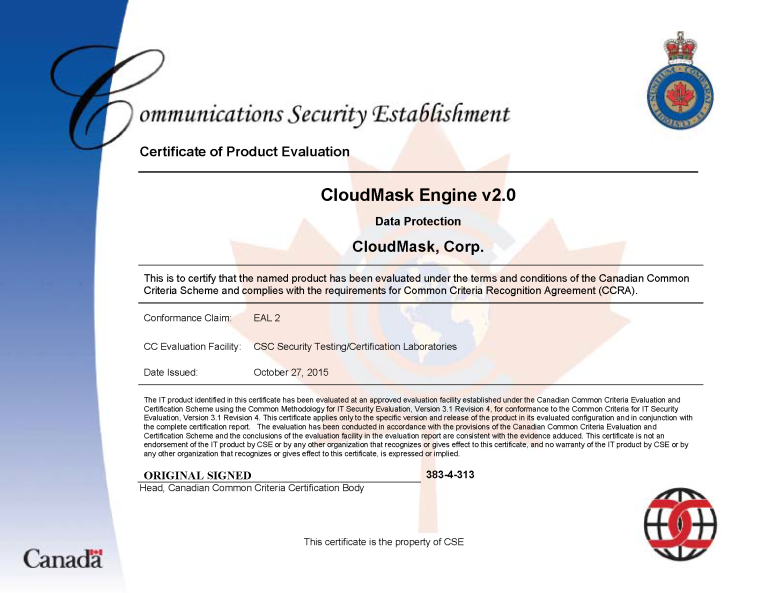 Recognized by leading cybersecurity agencies worldwide, CloudMask’s end-to-end protection claims have achieved rigorous Common Criteria certification. CloudMask enables you to track, protect and control access to data throughout its lifecycle. It works on a zero-trust model; Only you and individuals you have explicitly trusted can see your data and nobody else along the way – not applications, not gateways, not system administrators, not cloud providers, not even CloudMask. The solution has received its Common Criteria certification, the gold standard accepted by 26 government cybersecurity agencies around the world. With CloudMask, infrastructure breaches no longer mean data breaches. Insecure clouds and mobile devices no longer mean insecure enterprise data. An insider possessing application and system access, no longer means seeing the data.